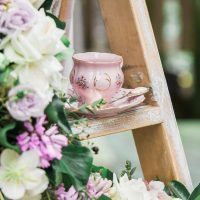 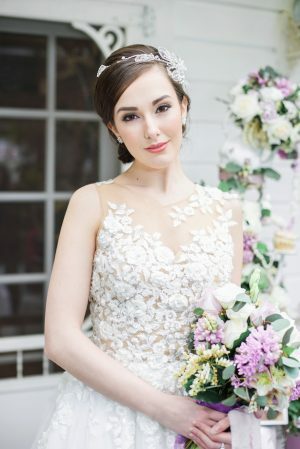 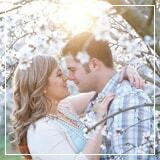 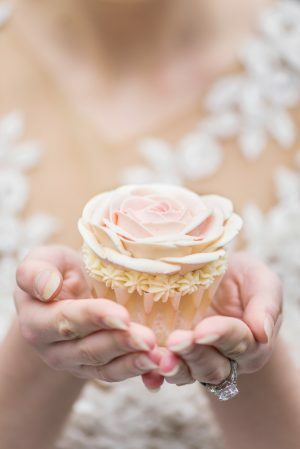 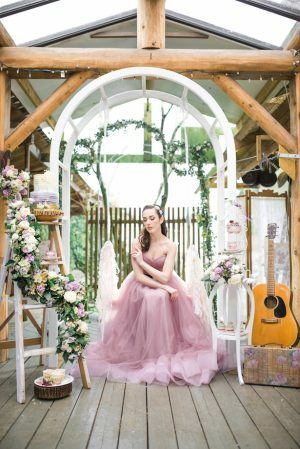 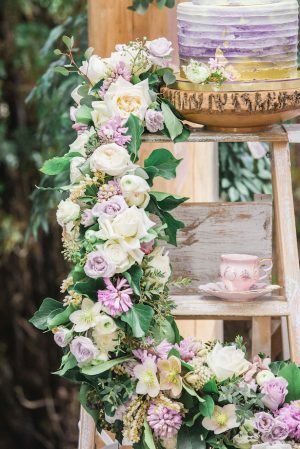 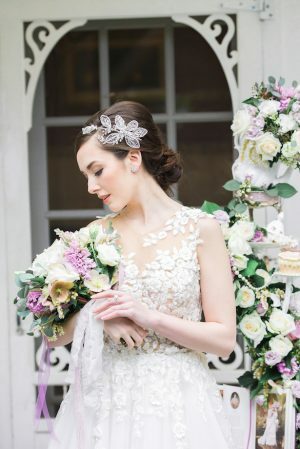 Equal parts glamorous and vintage, this cottage dream wedding inspiration shoot from L’Estelle Photography and Vintage Meant For Rent channels inspiration from Marie Antoinette and Alice in Wonderland for a whimsical fairytale shoot not to be soon forgotten. 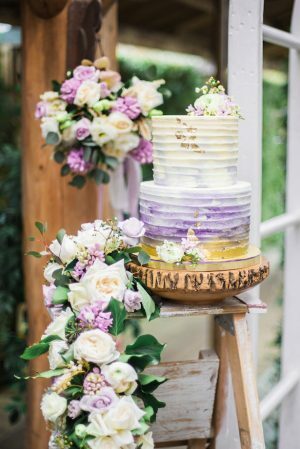 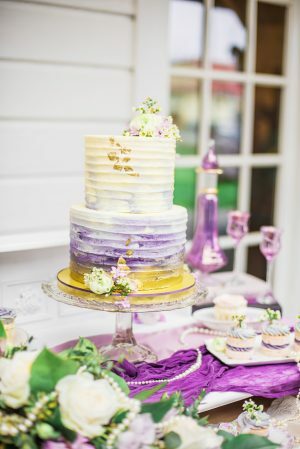 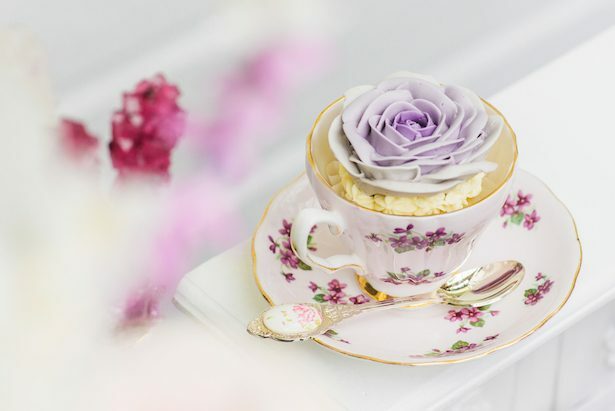 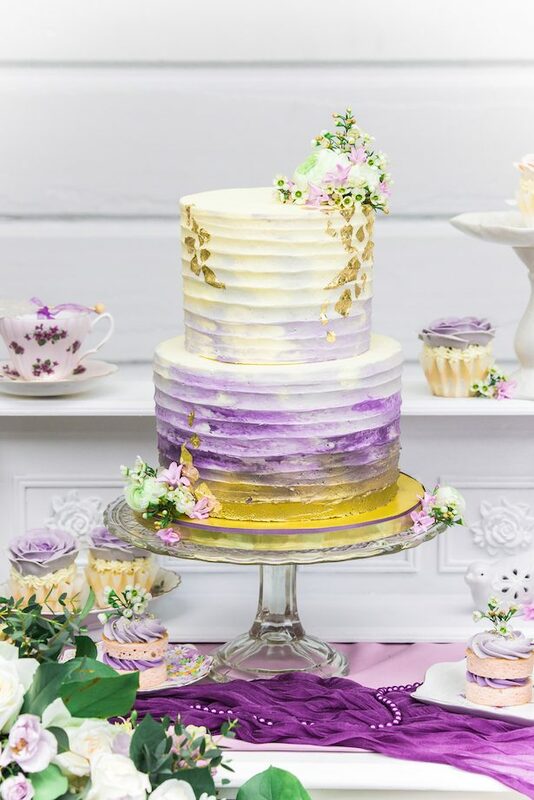 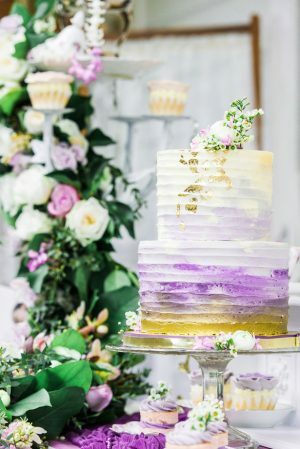 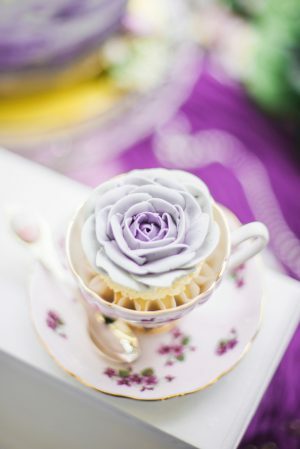 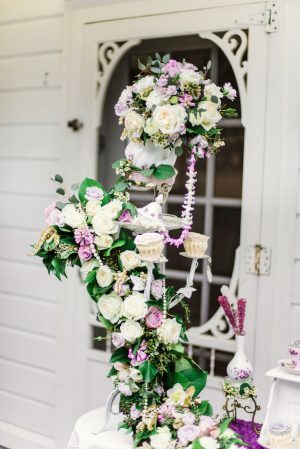 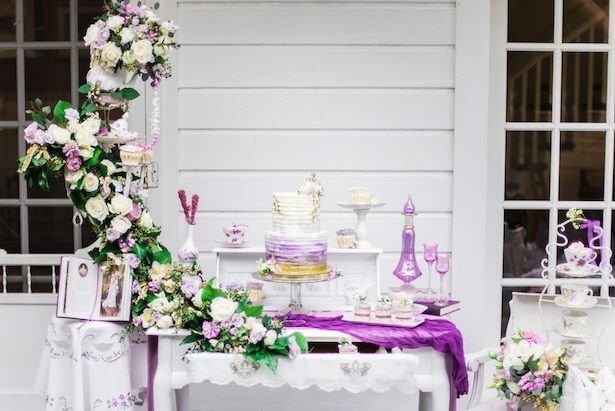 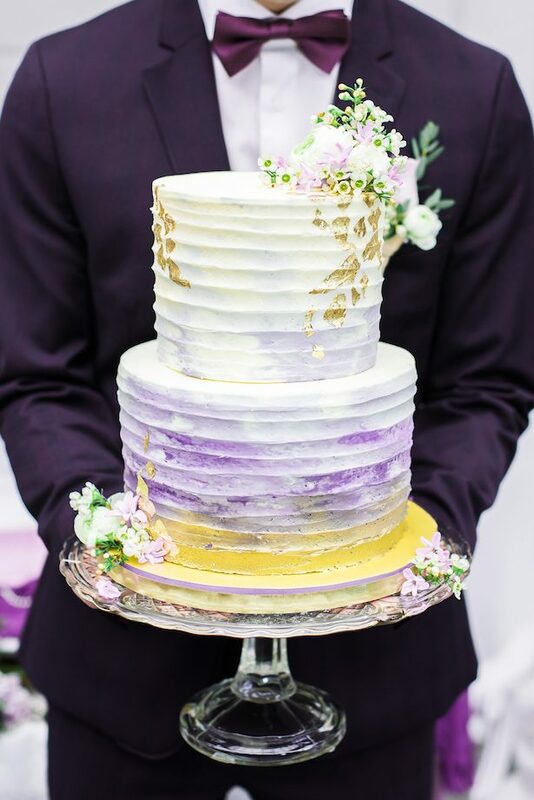 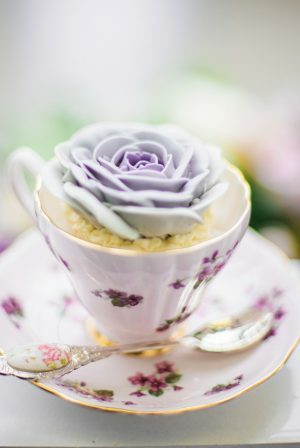 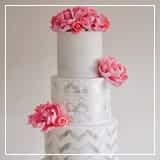 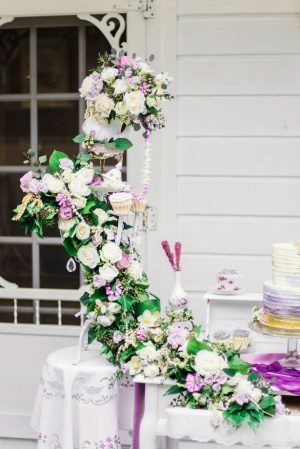 Enchanting details such as cascading floral garlands, vintage teapots, and rose cupcakes set the scene for a lush buttercream cake in violet ombre watercolor to complete the whimsical dessert table. 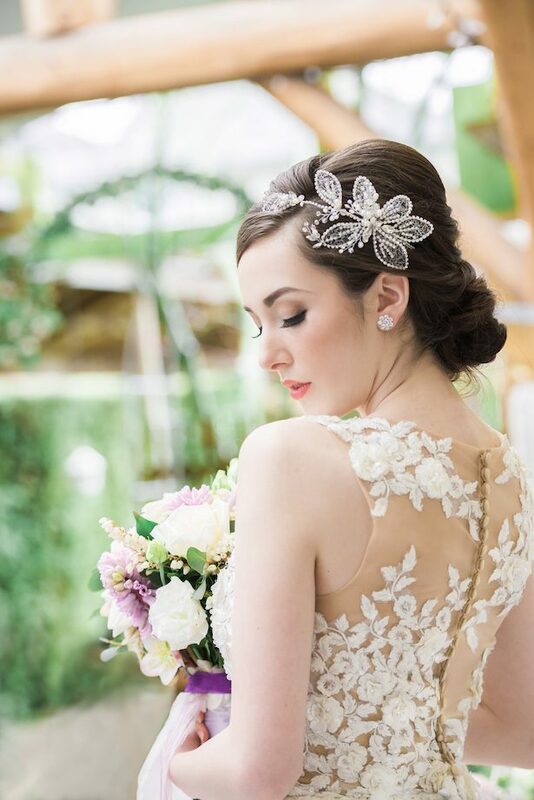 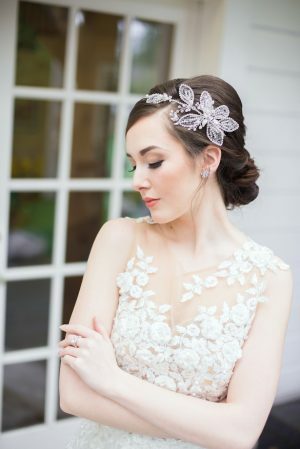 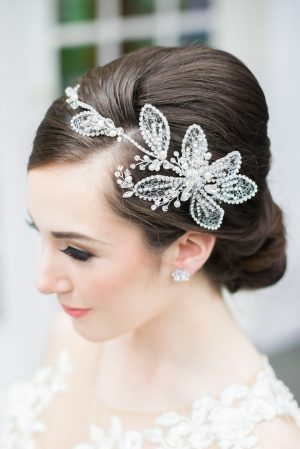 A floral-inspired headpiece complements the Pronovias gown to perfection for a first glamorous and romantic look. 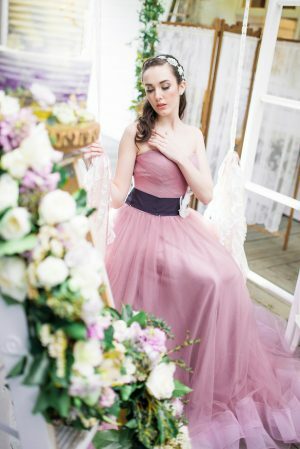 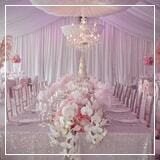 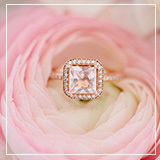 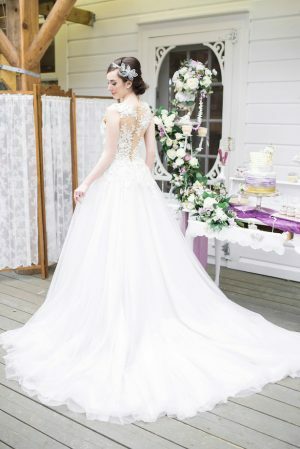 And a pink tulle evening gown by Clara Couture Bridal’s custom collection plays up the second dreamy look. 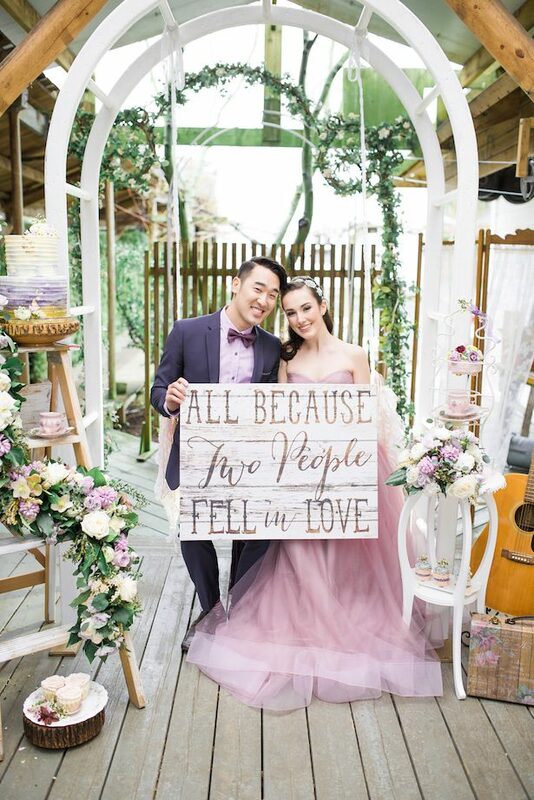 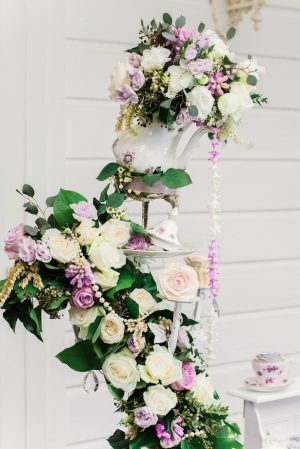 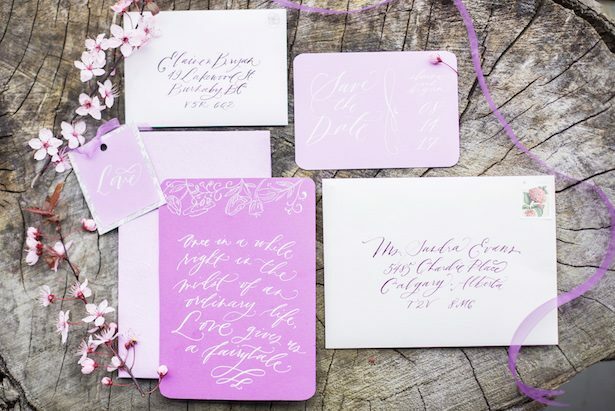 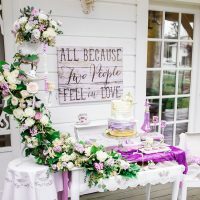 We are swooning over every unexpected detail, like the purple groom’s suite and the ace wooden swing, in the lovely images captured on film by L’Estelle Photography. 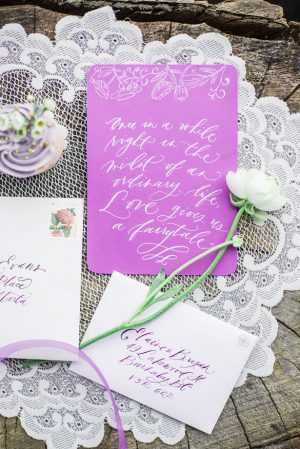 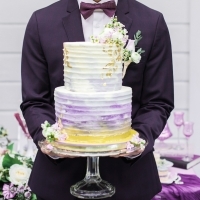 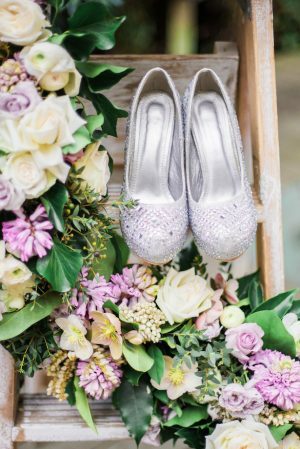 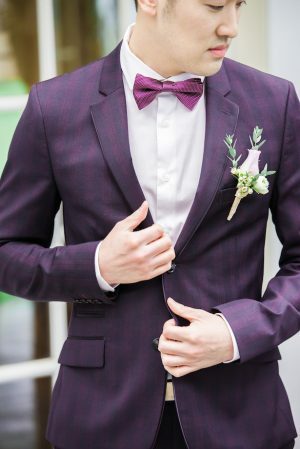 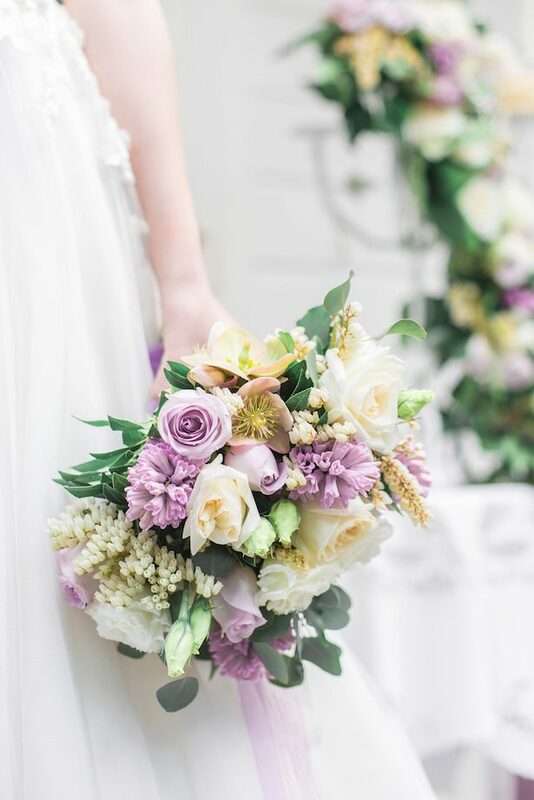 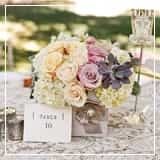 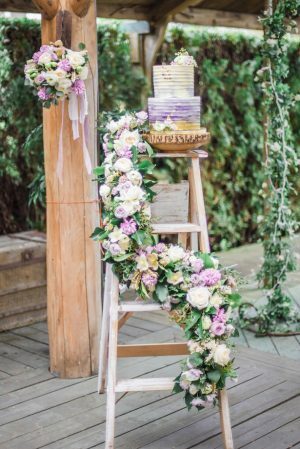 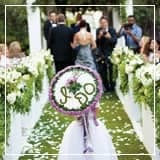 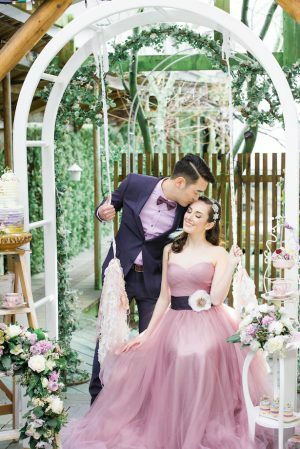 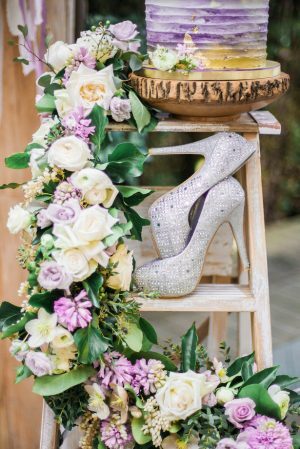 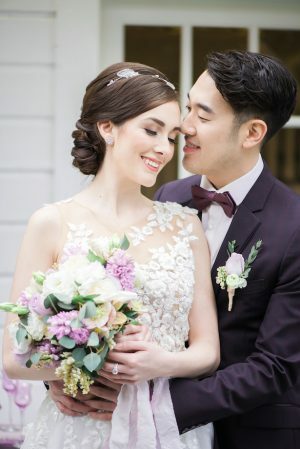 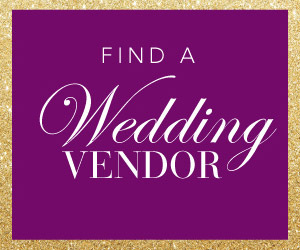 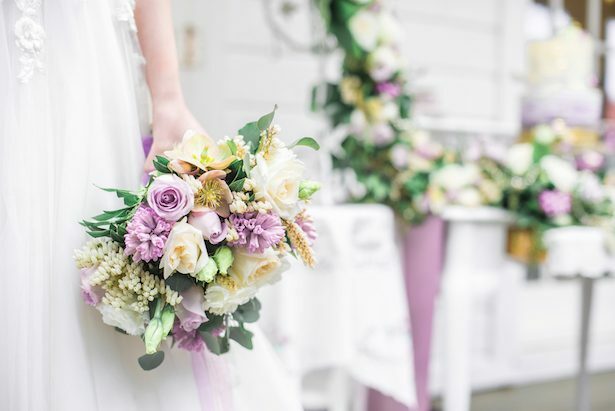 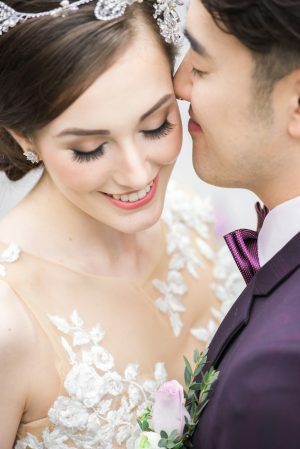 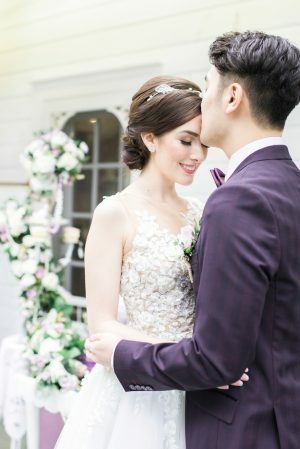 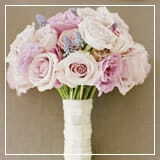 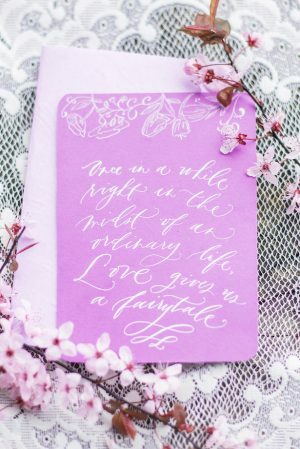 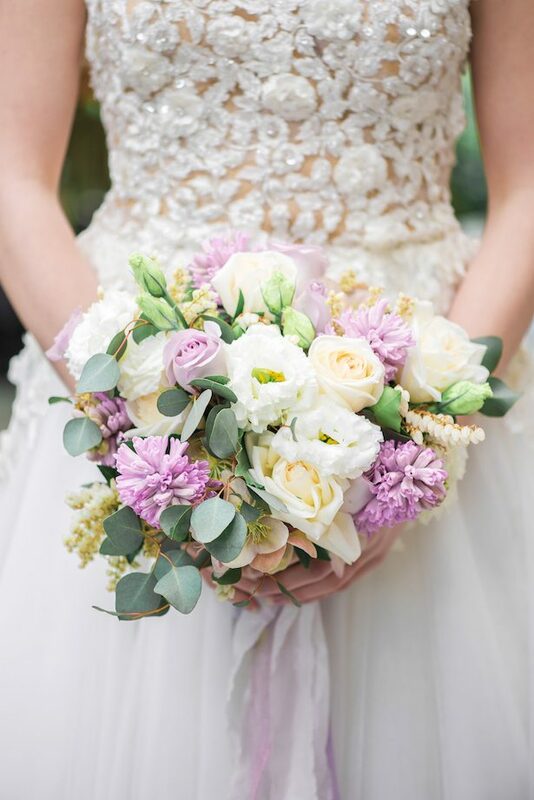 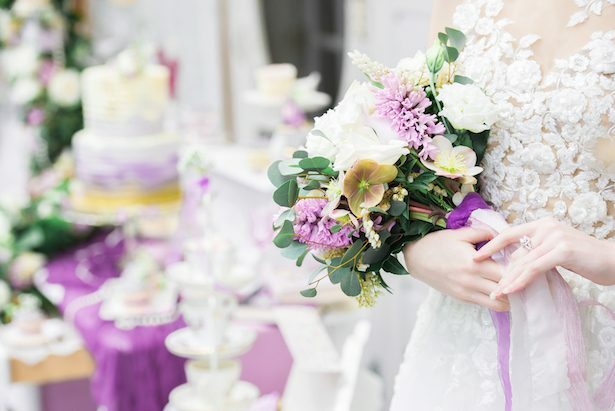 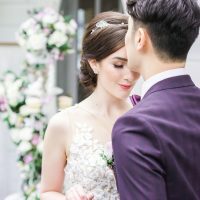 Don’t forget to visit the FULL GALLERY and get a complete view of this Lilac and Violet Vintage Glam Wedding Inspiration!